The Supreme Court on Friday directed Tamil Nadu to keep the water level of the Mullaperiyar reservoir at around a little over 139 feet till August 31, a day after Kerala blamed the state for aggravating the flood situation after the release of water from dam. The panel appointed by the top court said Tamil Nadu has agreed to keep the water level of the dam at 139.9 feet, instead of the permitted 142 feet. Tamil Nadu rebutted the charge made by Kerala in its affidavit, which said sudden release of water from Mullaperiyar is one of the causes for the floods. The state told the court that Kerala's contention is misplaced and does not match with the ground realities. Water from Mullaperiyar reservoir was released only on August 16, whereas the floods in Kerala started about ten days earlier said Tamil Nadu. "We are only concerned with the safety and lives of people," Chief Justice Dipak Mishra told legal officers representing Tamil Nadu. The top court will take up the case again on September 6. Tamil Nadu Chief Minister Edappadi Palaniswami lashed out at Kerala after the Supreme Court's order. "Water from Mullaperiyar dam was released only in one area. What about the floods in other parts of Kerala?" Said Mr Palaniswami, accusing Kerala of "spreading wrong information to stop Tamil Nadu from raising dam storage." Yesterday Kerala told the Supreme Court that sudden release of water caused an overload in the Idukki reservoir downstream and water had to be released, which worsened the flood situation. Kerala Chief Secretary said that the state had suggested a gradual release of water from Mullaperiyar dam when the water level was at 136 feet. But Tamil Nadu did not accept. Even when the water level rose to 139 feet, the same suggestion was made. Since August 8, Kerala was being battered by torrential rain, which turned out to be part of the worst monsoon in a century that cost more than 350 lives. 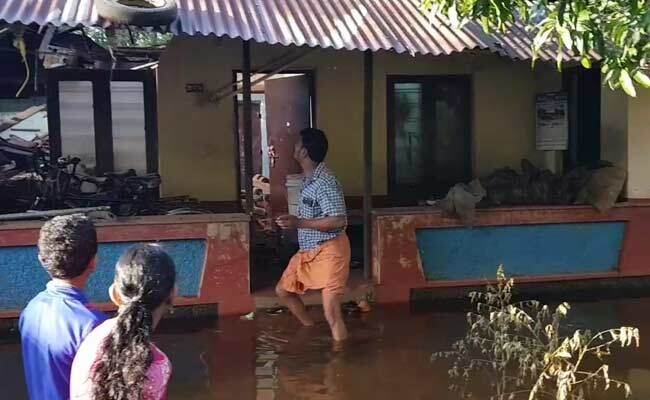 The Kerala agriculture minister Sunil Kumar told NDTV that 10 lakh people across Kerala are in relief camps as houses in several districts are still flooded. 20, 000 homes have been completely destroyed and 30, 000 are partially damaged said the minister.